Drive from Tel Aviv to Eilat to the border with our professional assistance. 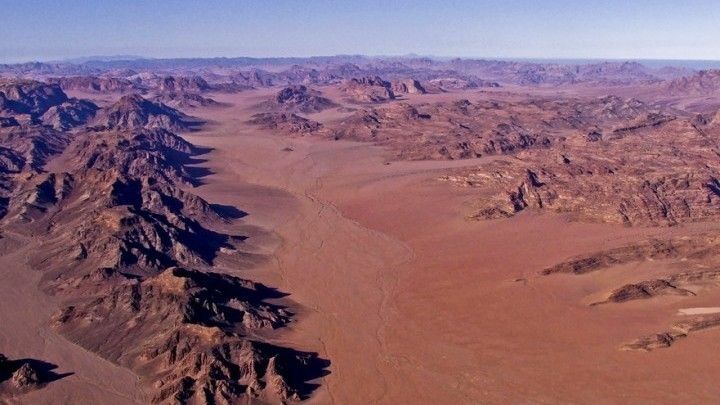 Transfer from Eilat through the amazingly beautiful Israeli Negev Desert region, with sunrise in the desert, and the spectacular desert scenery along the way to illustrate your journey. 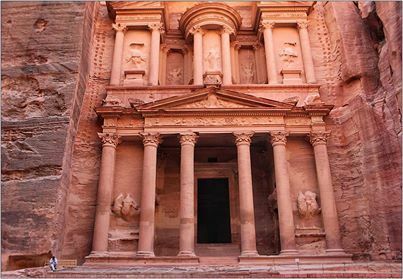 Enjoy a guided tour of the ‘lost city of Petra’ (entrance fee included), including the important highlights that this wonder of the world holds including the Siq, Obelisk Tomb, Calligraphy, Treasury, Jabal Madbach (sacrificial palace), Tombs, Theater, Mountaintop Tombs. Eat an authentic Jordanian lunch at Arabic restaurant serve delicious local cuisine. 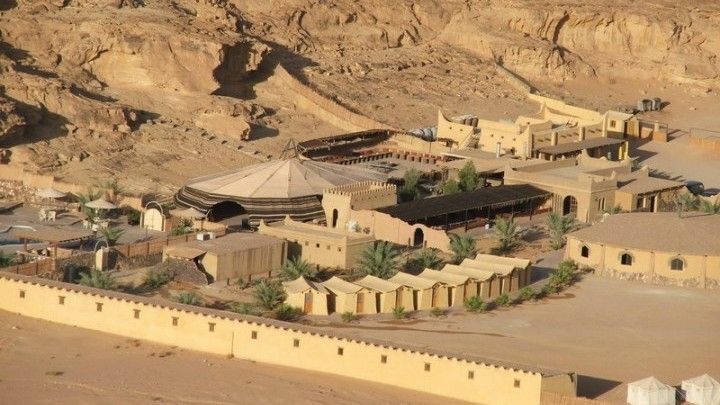 Overnight accommodation in a Bedouin campsite at Wadi Rum enjoying the Bedouin hospitality and authentic meals (If you wish to stay in a hotel in Aqaba there is an option to stay at a hotel during the winter season when temperatures are low instead of a tent, there is an additional charge of $38.00 (USD). Enjoying the Bedouin hospitality and authentic meals. Explore Wadi Rum in a Two hours jeep safari through the breathtaking lunar-like desert landscape. Night in a Bedouin tent in Wadi Rum including dinner and breakfast (there is also hot shower). If time allows,use free time enjoy the highlights of Eilat, and take advantage of the beautiful Red Sea Beaches, or enjoy the city’s attractions. Return to Jerusalem and Tel Aviv. Our Petra and Wadi Rum Tour stars with pickup from and drive through the Dead Sea and Arravah Valley. Sunrise in Massada area. Arava Border Crossing with the help of our professional crew. 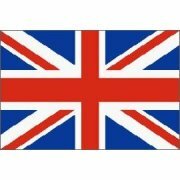 08:30-09:00 Border passing includes: border control and customs. This process may take up to 2 hours - your patience is appreciated! 10:15 Transfer from the border to Petra in our newest model air-conditioned vehicles. 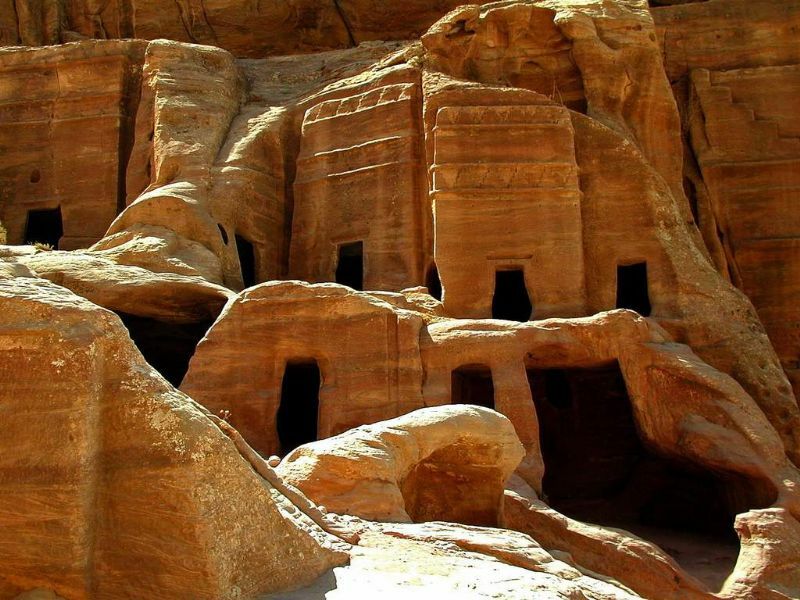 Transport takes approximately 2 hours, passing through a vast and comfortable highway (the "desert way"), following through a scenic route on the mountain side, and arriving at Petra's historical site, known as one of the Seven Wonders Of The World. 12:15 The tour of Petra begins at the entrance to the site. Included in your package is an optional horseback riding for the first 200 meters of the route. The ride allows you to taste the unique atmosphere of the place (tipping the carrier is required, ranging from $2-$5 at your discretion). 16:15 Lunch at a local authentic restaurant. 17:00 Transport to Wadi Rum. Option to stay in a hotel in Aqaba instead for an additional charge. 19:30 Dinner at the camp. Overnight in a Bedouin campsite in Wadi Rum. 07:30 Morning in the desert. 08:00 Breakfast at the camp. 10:00 Jeep Safari tour in Wadi Rum. 12:00 Back to the camp, and transport back to Aqaba. 13:00 City tour of Aqaba, and free time in the market for shopping (if time permits). 14:30 Transport to the border crossing in Aqaba. 19:00 Transport from Eilat City to Jerusalem and Tel Aviv. Two hours jeep safari tour in Wadi Rum. 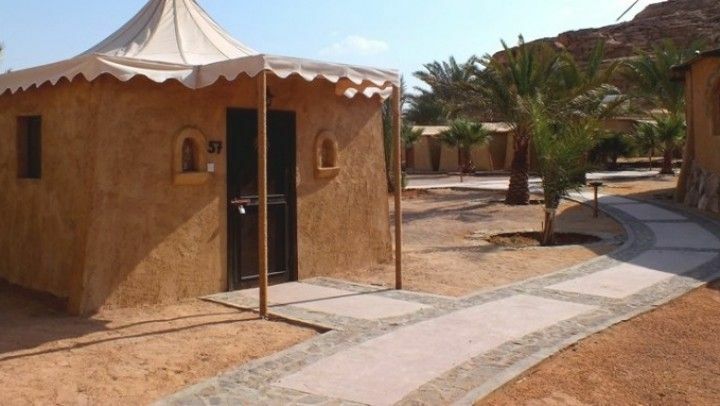 * Accommodation in the Bedouin camp is very minimal as you are staying in the middle of the beautiful desert.